Jogoya Japanese Buffet, I've heard of this place from my colleagues over the years, but I've never had the opportunity to enjoy the cuisines there until last week when my bosses treated us to a dinner buffet. Upon hearing we're going to have a complimentary japanese buffet dinner at Jogoya, I was like "yeah baby!" There were a total of 21 of us there that night, and the first thing that I did when I saw inside the restaurant, I made a check-in for Foursquare. Come on, we have to keep up with technology, no? Check out my checkin that night below. My comments pretty summed up my feelings then. A quick background on what Jogoya Japanese Buffet Restaurant is all about. 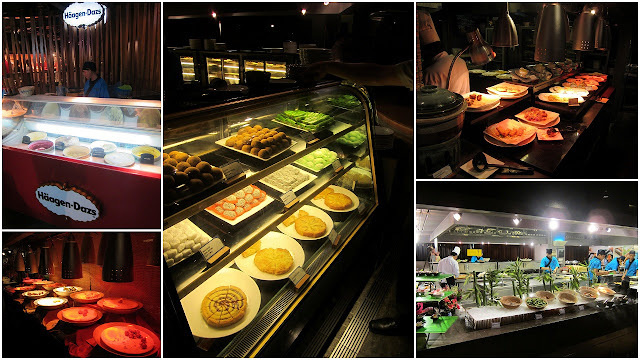 Jogoya is this 30000 Square feet restaurant located at T3, Relish Floor inside Starhill Gallery next to Lot 10 KL. It opened in 2006, and can house up to 580 guests at any one time. So there I was being a new to this place and all. One of my colleague was a regular, and even had a VIP member card to this place, he showed me around, and told me which dishes were better. 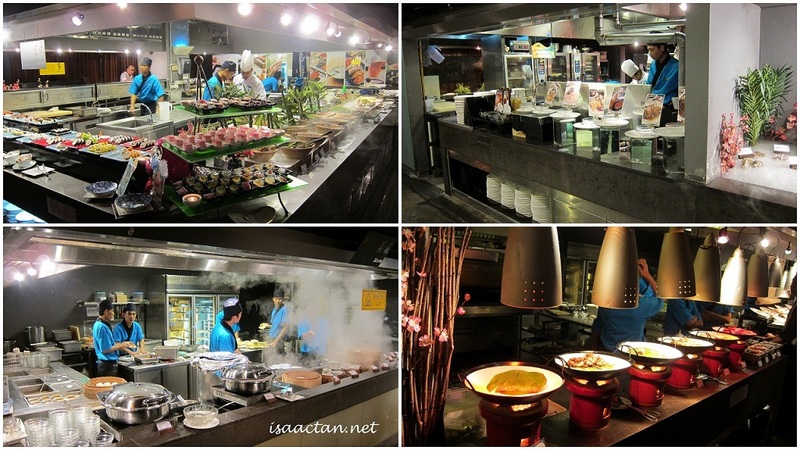 This place kind of reminded me of Coffee Terrace in Genting Hotel, with lots of different food counters and section. You could get lost here I tell you! ... and more food counters..
Everything you ever wanted from a japanese restaurant is here, plus lots of other food dishes that you may not be familiar with but is extremely cool and interesting. Plus I love the fact that the ice cream they serve here is from Haagen-Dazs. Check out some of the dishes we had that night. The fact is, I don't really go very often to japanese restaurants, so I'm not sure what most of the dishes were called. I also didn't manage to take a lot of pictures of the food because there were too many people there, so bear with me. We were given complimentary red wine as well, which was good and washed down the food really well. The system to order the food were fairly simple. We had clips which we need to drop at the food counters based on which food we want to order, and the waiter will bring it over once its done. This is pretty cool, because then all the food served are fresh and newly done! A number of the more expensive dishes were reserved for VIP members only, such as the abalone below. For desserts we actually had ice creams and a huge selection of cakes and cookies. One of my colleague, Mr Yong, is a VIP member here, and since he's leaving the company soon for a better opportunity, I'm putting up his picture with this cool Chocolate Fondue fountain. Do take care of yourself my dear friend, will miss you when you're no longer at the company. Overall, this was a really classy place to go to, plus with the variety of japanese food made available, it will satisfy everybody's palette. 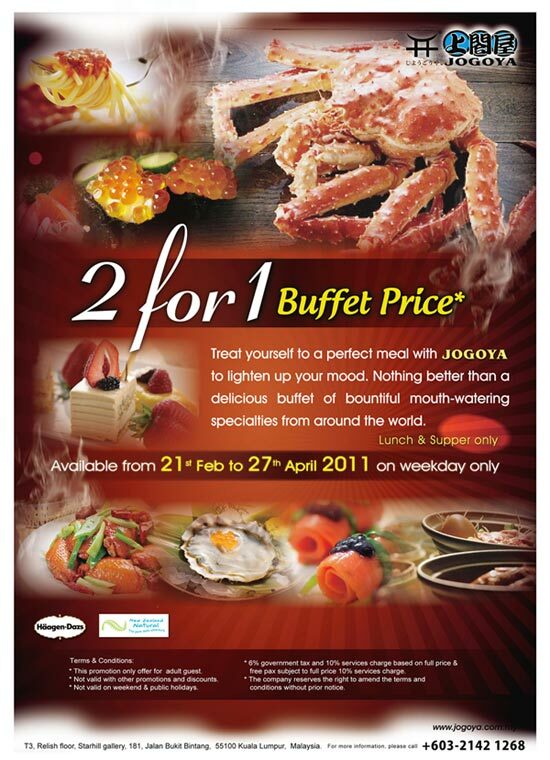 Currently there's an ongoing promotion where for Lunch and Supper buffet, there's a 2 for 1 promotion. No wonder when we were leaving at 9.30pm, there was an extremely long queue outside. But for a price of RM78+ for lunch and supper, and RM88+ for dinner buffet, I personally may not be coming here again anytime soon. Small Kucing: Not bad, 2 for 1, bu still you need to at least fork out rm90.. wahahaha. hey, i went there in december..that time.. 50% off for ladies! 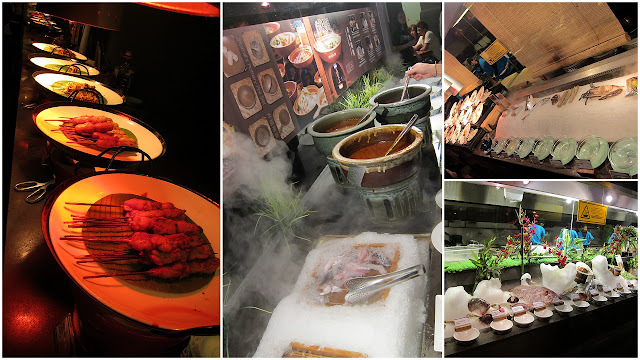 still have to pay 50rm over.. so much to eat... when i looked at the food, i was full already..
i would love the crab..yummy! STP: On the contrary, I think with this promotion their business really went up a lot. That night when I was leaving at 9.30pm, the crowd outside waiting for supper buffet scared me. So crowded! Wahahaha, capacity dropped? It's not good to stuff ourselves silly anyway. Eat in moderation. Tekkaus: Ya bro, quite double standard. They expect you to sign up for the VIP package which goes for RM1.4k, with a RM1.1k voucher and a whisky/brandy. Last time my friend got the VIP package easily from company events. Hilda: Woot! Om nom nom noming your way to Jogoya again! Wahaha, enjoy ya! Caroline: Wooo, normally bosses like to treat to japanese restaurant. I always wonder why, maybe it's because of the exquisite taste that Japanese food gives, and its unique.